Music changes everyone’s mood in just a few seconds but to hear great music, you need a great pair of studio monitors. There are various studio monitors available in the market these days. Some are for professional use while others are for regular use. So, it becomes really difficult to choose one out of all for home recording. Studio monitors are an important tool in order to achieve a great sound. 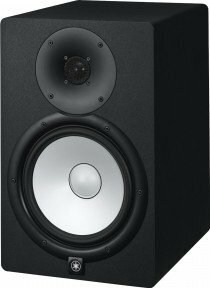 It is better to put your credits on the best studio monitors/speakers for home recording rather than wasting on bad ones. Let’s go on with our list of best three studio monitors for home recording! Yamaha HS8 is a perfect combination of classic and modern technology. It comes with white-coned woofers, a signature sign of Yamaha speakers. It has a unique mounting system that minimizes vibration and improves overall performance. It comprises large magnets for a smooth response. 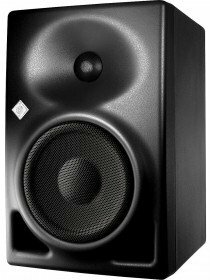 These studio monitors come at an affordable price with superb sound quality. These monitors are perfect for home recording as well as for other professional use. This studio monitor is also based on the classic model of the company released back in the 90s, namely Event 20/20 BAS. In this new model, the company has employed some features of the newer technology. It boosts double power with half THD. It comes with a front port that makes it good for home recording in smaller rooms. It offers power about 250W that is remarkably high for such small-sized monitors. These studio monitors come from a well-established company started back in the 70s. 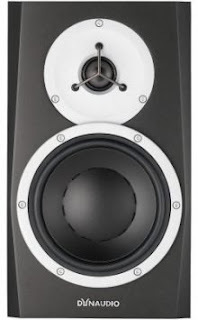 In terms of look, no other studio monitors can beat them up. These speakers have a sophisticated and sleek look, which remain trendy all times. It comes with filters for high, mid, and low. It comes with bass reflex cabinet along with a waveguide technology for higher frequencies. All of this makes Dynaudio a perfect choice for you. It is one of the most popular studio monitors for home recording. 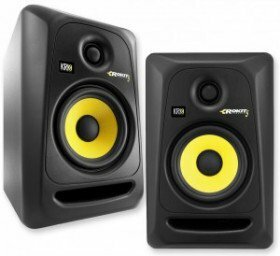 These studio monitors are a perfect choice for beginners as it is highly recommended ones at an affordable price range. 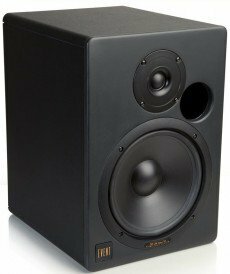 These studio monitors produce excellent sound quality. These studio speakers are one of the greatest choices for home recording. The company is known for producing the finest quality microphones all over the world. The Neumann monitors have dome drivers made with titanium fabric. These monitors are based on MMD (Mathematically Modeled Dispersion) waveguide. These come up with a complex yet trendy cone design, which is liked by various rockstars. It is based on the company’s first release monitors by the same name Neumann KH. Now, you are all set to buy some of the best professional studio monitors for home recording. All these speakers come from well-known companies, which make them a nice bet. However, you can check other sites as well before making a final decision.